Best thing ever! Just wish it came in other colors, looks like a kindermat. I purchased these to give as Christmas jingle gifts at the local nursing home. They are much larger than I expected and so roomy. I love all the pockets and the versatility of usage. Plus, they offer a level of privacy to the owner as well. Well done, Miles! Brought two one for car and walker. Like that it has many pockets and I use them all. Have a walker called the Rollater and this saddle bags added to it makes it perfect for me! SAVES ME CARRYING A PURSE, has small front pocket good for wallet, whenever my walker gets folded to be put into car things stay in pockets. I really like this product. It great for carrying drinks and other liquids. It also hold the weight when carrying books and other stuff. My purse my universe, It meets all my needs I am very satisfied. Have told all my friends about this product and showed it to them. They have shown a lot of enterest in it. The wheelchair Walker Bag was perfect. The bag is excellent for carrying bath essentials, shampoo, etc. as well as books and materials from one place to the other. I love this. It carries so much so I don't have to while I'm holding on to the walker. Gave this to my 92 year old friend who is in a nursing home and she is just delighted with it! Gave it to her for Easter. I like this item very much. 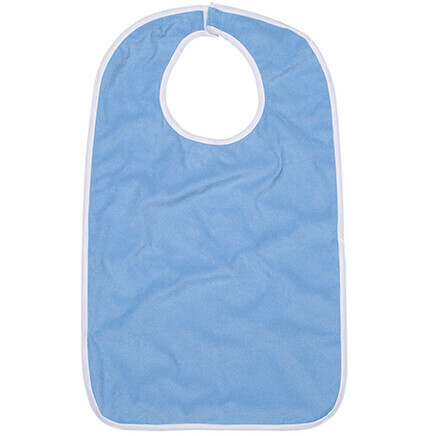 I find it is especially useful when shopping, with all the c, and the pockets are also very useful around the lifecare residence where I live, carrying things back and forth in many areas. Gift for 91 yr. old aunt, new to walker living alone. I used this product for my Mother when she was confined to bed at her nursing home. I attached it to the side of the bedrail by her head and filled it with items I thought she might like to have access to. It had plenty of pockets to separate the items, and she used it often. I bought this for my grandmother who is currently in a nursing home. She was having trouble keeping up with her walker, so I bought her this. Not only can it store things and keep her hands free to hold on to the walker, but she always knows which one is hers. We also wrote her name on it with a dark marker, so there's no mistaking that it's her walker. I could see this being useful for someone who is in a wheelchair, too. This is my 3rd walker bag from Miles Kimball in 7 years. The stitching gave away on the other 2 after a couple of years, but I'd already gotten my money's worth from them. Being able to so easily carry items from room to room with them is such a help. Books, magazines, medications, pens, cell phone, snacks, etc. etc etc. Makes my life so much easier. Everything I bought was donated to residents of a wheel chair community center. I sent this item to a friend in another state that has a walker. She could not make it to the phone in time to answer it so I suggested she take it with her. I sent this to her just for that reason and now she can take her phone and other items with her wherever she goes around the house. She phoned me the day she received it and put it on her walker to let me know it was appreciated. Very well made. Much nicer than picture..
Just the right fit for my walker And Patriotic too! I love This walker bag. Those cloth wants get dirty. My neighbor gave me a new walker and it fits exacatly over it. And the silver lining on the bottom that is reflecive a night! I get comments o n it all the time! Bought this for my neighbor and she is thrilled....it has really helped her. Good value for the price. 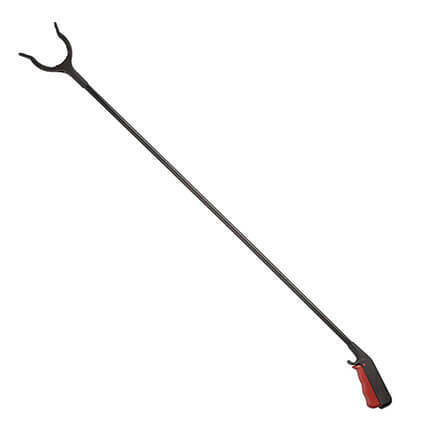 This item was used by a special needs adult that uses a walker. It was helpful in that now she can use both hands on her walker while carrying anything she needs. She has gained some of her independence back! Handy to use every day. I use this pocket, on my walker, and on my dad's wheelchair. It makes life much easier with so many items to juggle. Having recently had knee surgery, I bought this to attach to my walker. I could put all sorts of things in the various pockets. Phone, remote, magazines etc. Well made and a good buy! 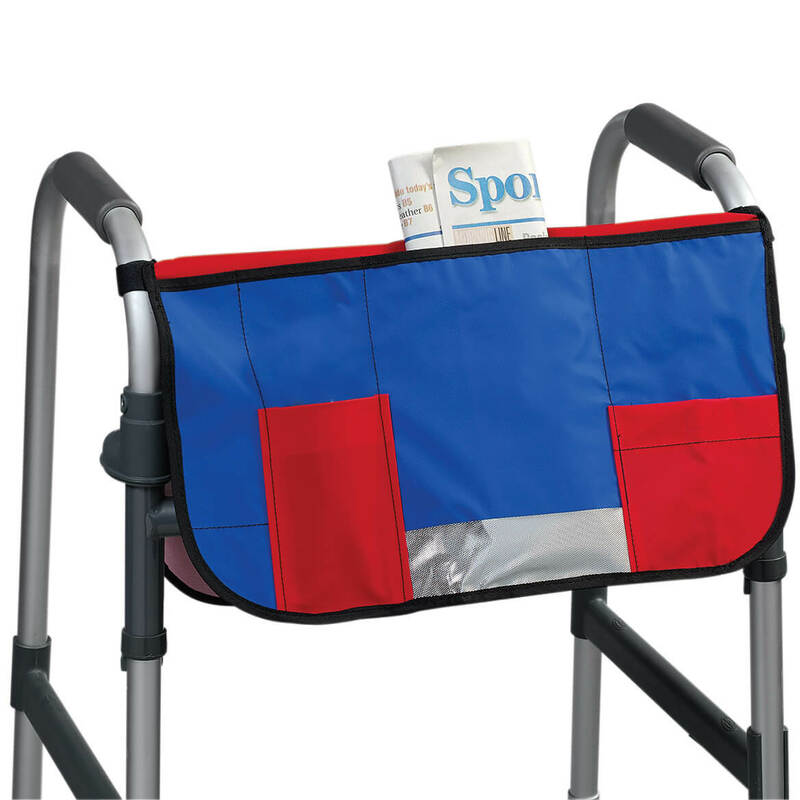 The Walker Saddlebag is a great idea for those who use walkers and have small items to carry with them. It takes the danger away of carrying items in your hands and trying to walk at the same time. Great idea! I use this product on my walker and I love it. It carries things I had to get my husband to do when I went room to room. I would recomend this poduct to anyone that is on a walker, that needs helping hands when riding a bike, or with anything that they can use it on. The saddlebag allows to carry items without fear of losing them. It is easy to install on walker. An excellent tool to carry items! My uncle uses this product everyday. This product allows him to pick up the mail, carry items he couldn't before. The variety of pockets (and pocket sizes) makes it handy for carrying a number of different things. It seems sturdy and durable, but would like more color choices. My mother in law keeps her cigs in it. After having knee surgery, this is the perfect item to give me more independence. Order 2. One smelled like it had been in the bottom of a cargo ship too long, it also looked weathered. I called customer service & they offered a replacement. I clicked on wet weather because we just had a heavy rainfall and bag got wet but dried very quickly. Need to fasten open compartments tho. Several friends have looked at mine and are really impressed. Always ask me where I got it, I say "Miles Kimbell of course, where else!" One thing about using on rollator I needed to put some new velcro on underside because of the padded bar. Won't quite reach over the padded bar so I added a little extension. Even the physical therapist thought this was a great idea! easier for those on walkers. My two elderly parents love theirs. My Mom's did tear, but after prolonged daily use. I would recommend to anyone, in fact, I am ordering two more for them. One to replace the torn one, and one as a back up! My Aunt uses this on her walker. She loves it. However, it does tear after awhile. I bought this saddle bag and gave it to my mother-in-law who is in a nursing home. We put it on the back of her wheelchair and she finds it very useful to carry things she needs in it. It is also quite colorful. I will be having hip replacement surgery soon (my second) and I got this because when I had my first surgery, I had a hard time carrying things I needed...I live alone and often had to make several trips with the walker to get everything to where I needed to be. The pockets on this bag will be a big help this time. It could be a little wider to fit my walker better, but it's certainly better than not having anything, like last time. Good value. Very helpful for both walker & wheelchair patients. Durable, plenty of compartments, light weight, easy to use and install, and the safety strips. Mom needs one desperately ! she walks with a walker and sometimes needs a place to keep the phone and the remote !! So happy I found this in your catalogue. Will no longer have to carry my stuff in a plastic grocery bag. 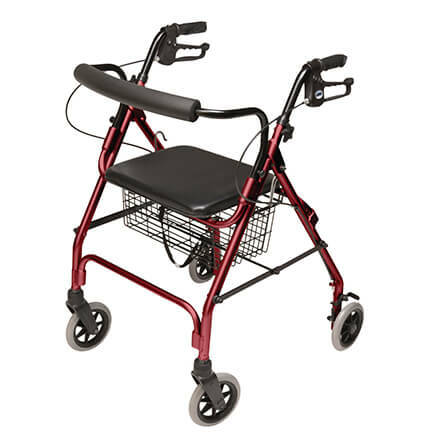 Can also use it on my 4-wheeler.Thank you Miles for having reasonably prices items for seniors/disabled. The one I have is pretty well done. I saw this one and thought I would try it. I would like it better if it was not so bright colors as I am a 74 year old grandmother. This will be a replacement for another well used bag. Once I receive it I can better give my opinion on it. Purchased one for my mom several years ago. She needed a new one. Big and roomy to carry items that you can't carry in your hands! I did not choose this bag as part of my order. What gives? 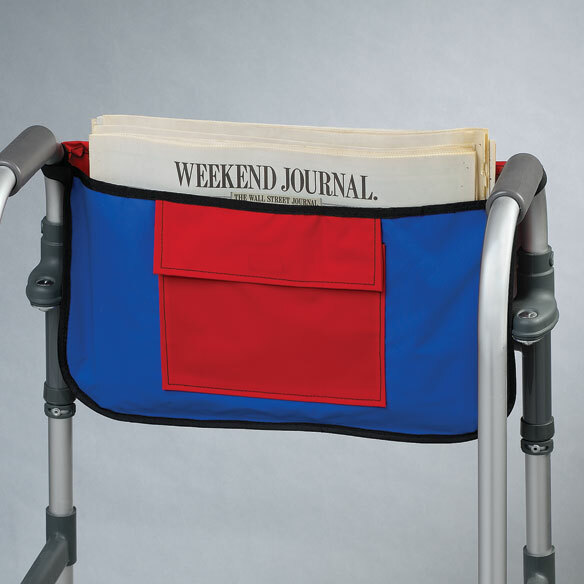 A little something to help Grandpa with the smaller items to carry around....it will fit just perfect on his walker when he needs to step into the bathroom. It's colorful, practical and has a pocket for just about everything. Mother on walker. Can put keys, mail and supplies within reach. I need this to carry items from one room to another and store my tissues, reacher, phone, etc. This bag looks like it will solve one of my problems. Sister-in-law fell. Needs walker now. Easy way to carry needed items. Very nice, quality cards. I buy them from you every year. 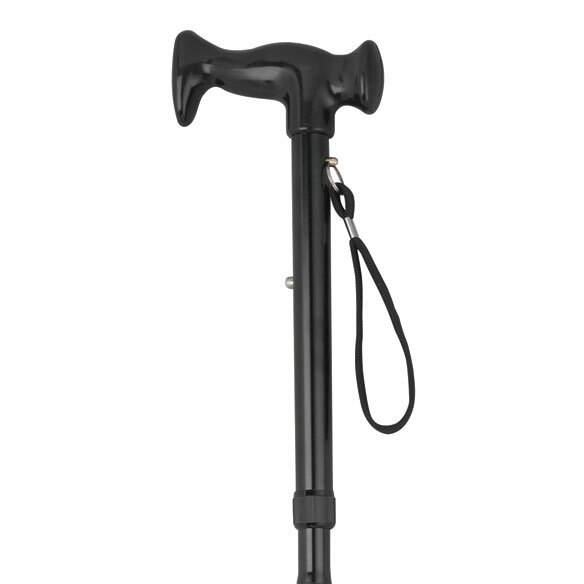 I have to use a walker when I leave the house and always have to fight with my purse. I got this one to solve the problem. I wish it came in some neutral color, though. I'd like it to match my clothes better. For my mother, replacement for same one she's used daily for over three years! My Dad loves his. Old one is finally falling apart after using it for several years. Will need to be using a walker for an extended period of time and this will make it easier to help myself as I will be able to transport some items on my own. I have a walker. Would have preferred a choice of color. 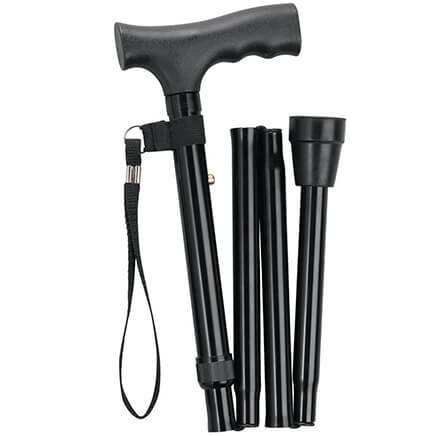 So that when I am using my walker I don't have to worry about carrying anything in my hands, and can put what ever I need into the pockets and take it to whatever room I need it. is the walker bag made of cloth? BEST ANSWER: It is a plastic vinyl material. The walker bag has a huge snap pocket and several other pockets to slide your items like tissues and lip balm etc My mom uses this at the nursing home and it works well for her. The bag is made of a nylon fabric. It's fairly sturdy, however eventually it may tear at the seams if the pockets are overfilled. The wear on it depends on how much it's used. No. It is more of a vinyl/plastic material. No, I'm afraid that it's plastic. No, it's plastic. Very useful.